Does My Child Have Autism? Get our posts in your inbox! ADAPT's planning group meets to share updates and make plans. If you share our appreciation of developmental therapies and parenting and are willing to give a few hours a month, you're welcome to join us! Watch our Facebook and Twitter for updates, or contact us for the next meeting date. 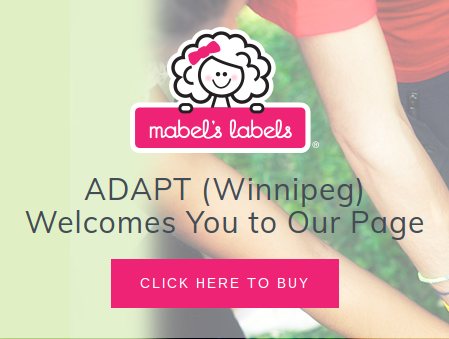 ADAPT raises money to pay for website costs and future events with a Mabel's Labels Fundraiser. If you could use some high quality labels or tags, please check this out!